That moment the bride to be tries on a veil usually brings tears to the eyes of her loved ones. If you ask a married friend about the moment she first felt like a bride, she’ll most certainly tell you it was when she put her veil on. So if you haven’t thought about it yet, now’s the time that you do! The veil has been part of marriage ceremonies for centuries, some believed it’s worn to cast away evil spirits or because of superstitions like - the groom must not see the bride before the wedding or other symbolic meanings from the past. Today it’s all about whether you are comfortable with the idea. It certainly is a beautiful accessory that would also do a great job for those romantic wedding photos! And it’s easy to keep and pass on to the future generation. 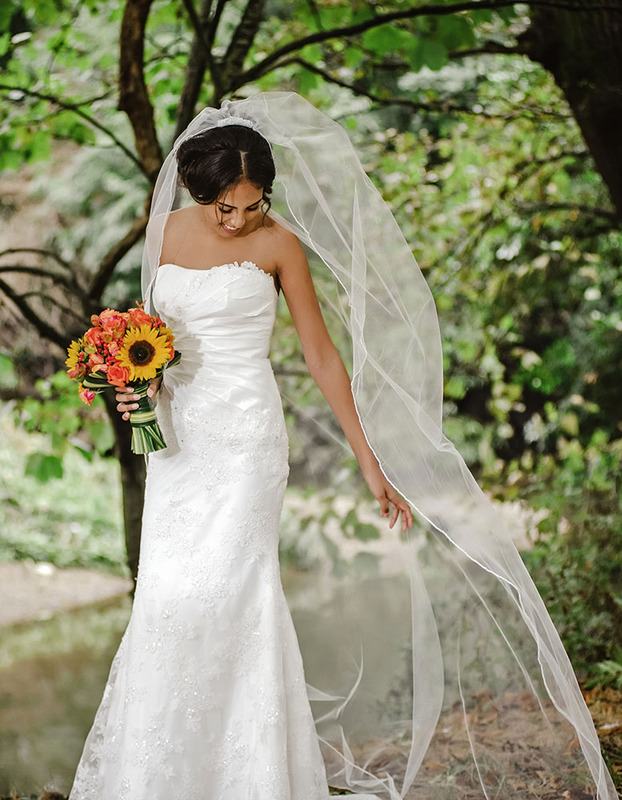 There are many different styles and lengths but there are not set rules about it, just match it with your bridal gown. Choosing the perfect veil depends on the style of your dress as well as the shape of your face and, of course, your personality. Not a veil girl? No worries! You can still look fabulous wearing a tiara, clip, flower crown, headband, a pin or whatever feels you!